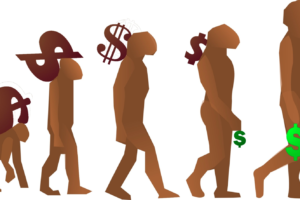 Managing your money effectively and getting the best deals is not easy. 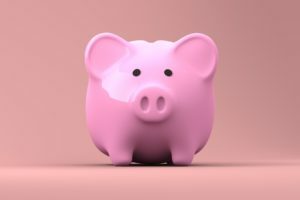 We all buy such a wide range of financial services that it is hard to keep track of what policy or product is expiring when and how much each is costing. 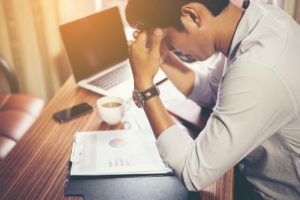 This is why companies encourage you to pay bills by direct debit – once set up, it is easy to forget how much you are paying in total, and crucially, to miss renewal dates and premium rises. This is great for the businesses, but not good for your finances! A way to keep tighter control on monthly expenditure is to use money management software and then religiously reconcile your bank account every month. I did this for years using Microsoft Money, which has sadly bitten the dust now. It was hard work, but meant that I knew how much we were spending each month and what we were spending it on. 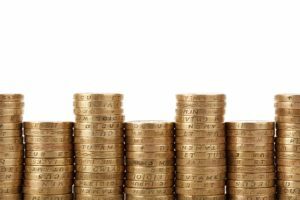 It also meant that I was in a great place to look for deals as I was close to our finances and could quickly recognise a great new deal when I came across it. For example, there is little point in getting excited about a great offer when you switch energy provider, if you are on a fixed-price energy contract that doesn’t expire for another six months. to look for great deals using a price comparison website, or phoning around. Although there are some good money management apps available, a new breed of app is emerging that allows you to not only keep track of how much your financial products are costing, but also to upload and store documents into a highly secure cloud storage facility. 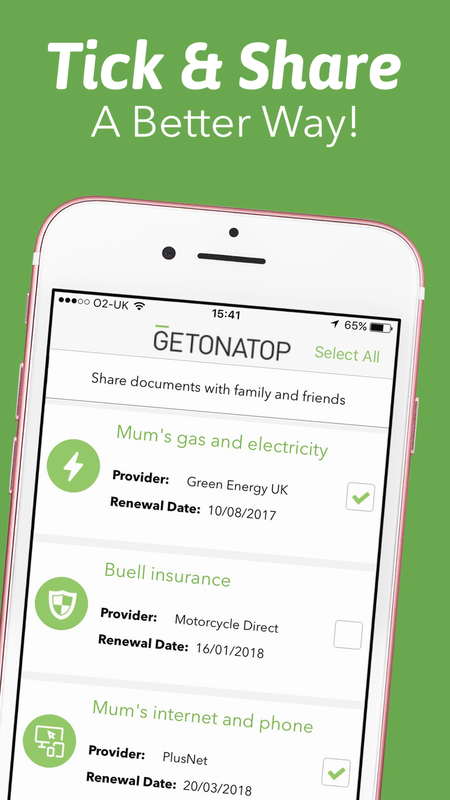 Getonatop, for example, is a free app that allows you to quickly upload images of important financial documents so that you have them in one secure centralised location that is available to you wherever you are, via your ios or android device. The app is very useful at reminding you when a policy or product is coming up for renewal, and what you are currently paying and to whom. 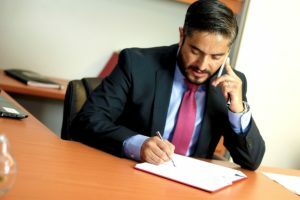 It gives you total of 5 reminders before the contract ends: 4 weeks, 2 weeks, 2 days, on the day it ends and then 2 days later, so as you can determine the reminder period, you can have ample time to delve into the market to find the very best deals and have time to switch provider, if necessary. 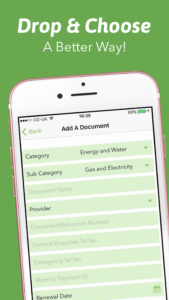 Apps like this are very quick and easy to use as they have drop down boxes listing the majority of suppliers so you are not struggling with entering supplier names and details on your phone. If you need to upload a document to your cloud storage you can use the camera on your phone, or simply just take a screen shot! Another plus is that you can securely share access to your documents with someone else, such as your partner so they can be on the look-out for good deals too! 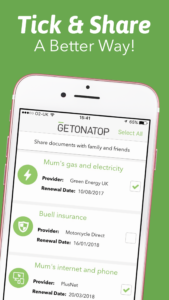 An advantage of using an organisational app like Getonatop is that you have access to your important financial information with you wherever you go, as long as you have your mobile device with you. This is particularly useful if you are on vacation, particularly when travelling abroad. Previously, I’ve had to photocopy travel insurance policy documents, taking care that we didn’t lose them enroute. To be extra careful, I also stored the travel insurance policy number and emergency phone numbers separately from the documents, just in case we needed them at short notice. This is all quite a hassle when you are getting a family packed to go away. Now, I can simply upload the travel policy documents to the Getonatop cloud storage and know that they are safe and secure, and easy to access from anywhere in the world. It is amazing how money management and organisational apps can help you take control of your finances. They are excellent tools to help us understand our monthly expenditure and to give us timely reminders that policies are coming up for renewal and opportunities to save money by finding good deals. However, it is when you combine the use of different financial apps, that you can really manage your finances well. 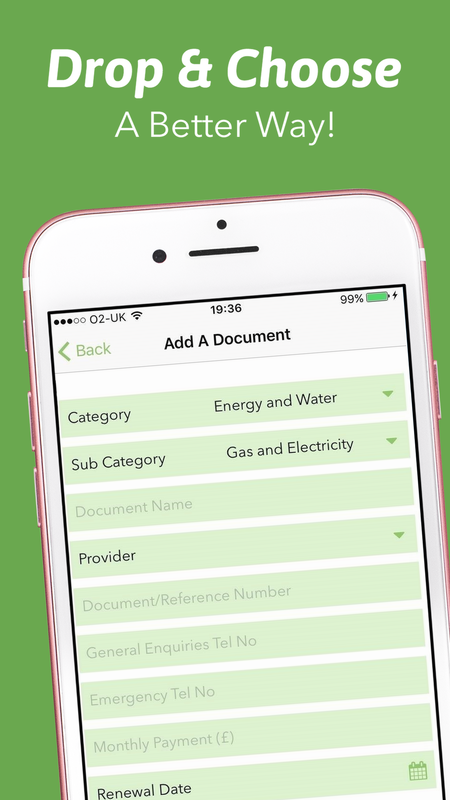 For example, if you use an organisational app such as Getonatop, you literally have your financial documents and policy and service renewal dates at your fingertips. 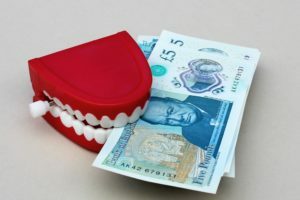 It’s when you also use a banking app linked to your bank accounts, that you really can keep track of where your money is going, without the hassle of reconciling bank statements in money management software that is starting to feel obsolete.